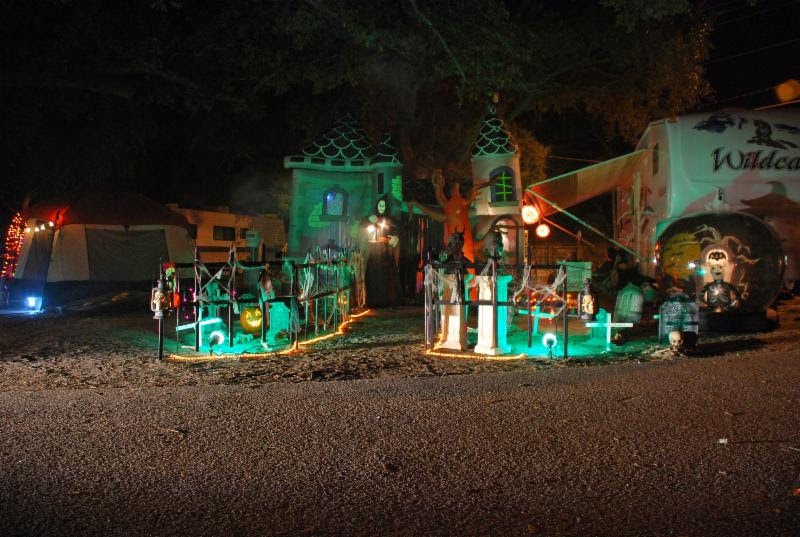 Ocean Lakes Family Campground has dedicated three weekends to Halloween festivities due to the growing popularity of this trend. 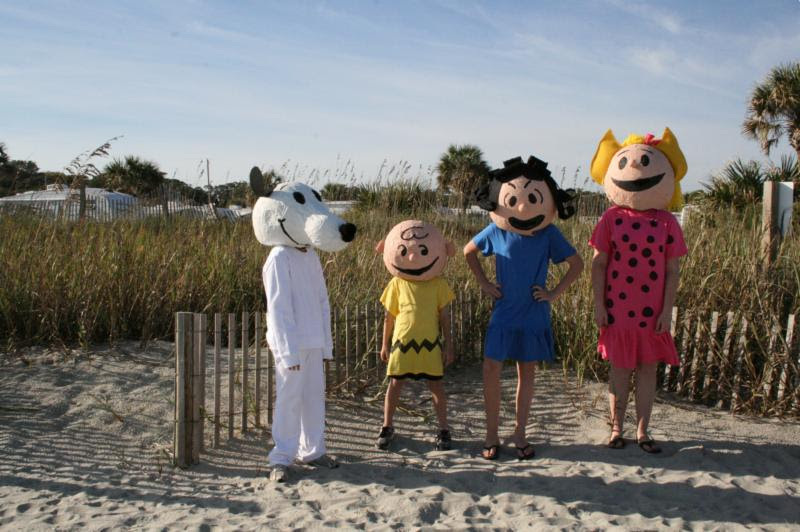 Family-friendly Halloween activities at Ocean Lakes will take place on Oct. 14 – 15, Oct. 21 – 22, and Oct. 28 – 29. The first weekend is almost sold out and spaces for the other weekends are limited, so reservations need to be made as soon as possible. The three Halloweekends in October will feature a variety of family-friendly games, pumpkin carving and costume contests, Halloween-themed arts and crafts, and much more. The fun begins each Friday of the Halloweekends at 7 p.m. on Sandy’s Meet n Eat center stage. There will be karaoke and Halloween-themed face painting. Saturday is an all-day Halloween fun fest beginning with a Pumpkin Carving and Decorating Contest at 9 a.m. Prizes will be awarded in the following categories: Scariest, Most Unique, Most Shocking, Funniest, and Best Overall Pumpkin. At 10 a.m., the Great Pumpkin Hunt begins. Guests can cruise around the campsite in a car or golf cart while solving riddles, looking for clues and finding pumpkins. The first team or person to find ten pumpkins wins a prize. At 11 a.m., there will be a Halloween Scavenger Hunt. The top three groups to find the most correct answers in the quickest amount of time will be awarded prizes. 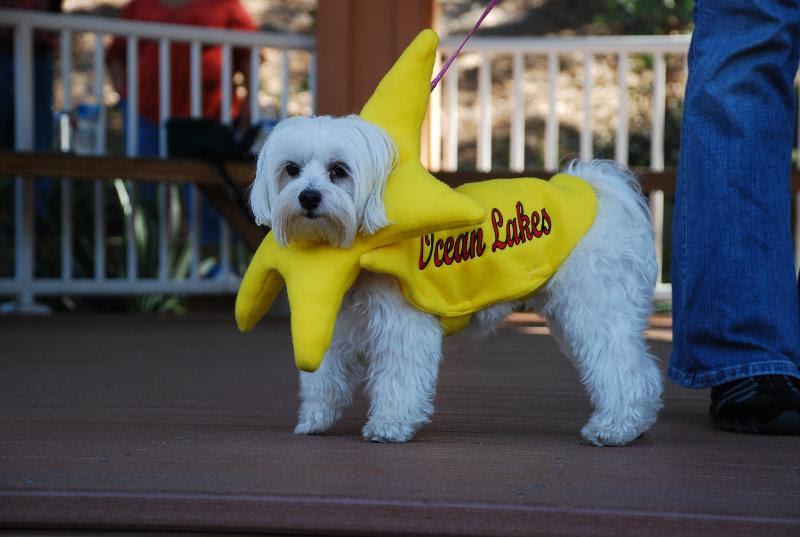 Costume contests for the entire family – even pets! Guests are encouraged to enter their pets in the Pet Costume Contest. Pets must be signed up by noonthe day of the event. The cost is $5 and all proceeds go to Canine Angels Service Dogs, a non-profit that trains rescued dogs for disabled veterans and first responders in the Coastal Carolinas. The human costume contests start at2 p.m. There is a Family/Group category, as well as six age group categories including: 3 & under, 4-5, 6-7, 8-10, 11-14, and 15 and up. Prizes will be awarded in a variety of categories. There is no fee to enter. All Costume Contests will take place in the Recreation Center. The most classic and favored tradition of Halloweekend is Trick or Treating. Beginning at 4:30 p.m., guests are encouraged to scurry around the campground and fill up buckets and bags with many sweet treats. Once guests have had their fill of treats, the festivities continue with the Creepy Site Crawl at 6:30 p.m. and the Monster Mash Ball from 7 p.m. until 9 p.m., featuring a DJ dance party and the winners of the Pumpkin Carving Contest and the Creepy Site Crawl will be named. More information about Ocean Lakes is available at www.oceanlakes.com.Stay updated on Ocean Lakes activities and news, on Twitter and Facebook . Ocean Lakes Family Campground, a division of The Jackson Companies, is the largest campground on the East Coast and one of the largest in the United States. Located in Myrtle Beach, S.C., it has received numerous awards for excellence. It is the 2011-2012 National “Park of the Year” in the Mega Park category and has received that honor from the National Association of RV Parks and Campgrounds (ARVC) five times. In 2010, it received the Earth Day Award from the South Carolina Department of Health and Environmental Control for its iCare Program. 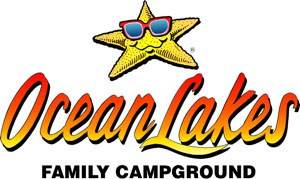 Ocean Lakes Family Campground is a division of The Jackson Companies, a family owned enterprise that includes Prestwick Golf & Country Club, Ocean Lakes Properties, Crystal Lake Mobile Home Village, Ocean Lakes RV Center, Ocean Lakes Golf Cars, and the master-planned development SayeBrook. For more information about Ocean Lakes, visit www.oceanlakes.com, follow it on Twitter or “like” the campground on Facebook. Mobile users, download the app at: onelink.to/78cfxk. Ocean Lakes Family Campground Brings Top Bluegrass Music To Myrtle Beach For Its 18th Annual Bluegrass Weekend. Ocean Lakes Family Campground in Myrtle Beach, South Carolina, will host its 18th Annual Bluegrass Weekend on Friday, Aug. 26, and Saturday, Aug. 27. Some of the most popular performers in bluegrass will be at Ocean Lakes, including some past favorites as well as some rising stars. The festival is exclusive to guests of the campground staying at campsites, rental houses or an annual lease site. The music will fill the air-conditioned, 17,000 square foot Recreation Center which is less than 200 feet from the ocean. Seating is limited. Wristbands are currently available for purchase through the Event Ticket Hotline at (843) 828-4856 or online at www.OceanLakes.com. Prices for adult wristbands for both days are only $45 (plus site fee) if ordered in advance. Wristbands for ages 7 to 12 are $20 and children 6 and under are free. Tickets for the day of the show will be $50 for adults and $20 for children ages 7 to 12. Along with the musical performances, there will be a Bluegrass Golf Car Poker Run, Mini Golf Tournament and many more activities for family members of all ages to participate in. The Gibson Brothers – Performing since the late 1980s, their tone and harmony epitomizes bluegrass music. In 2015, the Society For The Preservation Of Bluegrass Music In America Awards named them Vocal Group of the Year and Gospel Group of the Year (Contemporary). The Bluegrass Brothers – Formed in 1989, in West Virginia, the Bluegrass Brothers are known for their hard-driving sound, lonesome harmonies and high-energy show. In 2011, two of the band members, Victor & Robert Dowdy, were inducted into the Virginia Folk Music Association Hall of Fame, joining past recipients which include Patsy Cline and The Statler Brothers. Volume Five – The Mississippi-based bluegrass group is known for its soulful sound, spot-on harmonies and precision picking. In 2015, they received an award nomination for Emerging Artist of the Year from the International Bluegrass Music Association (IMBA) and a nomination for Bluegrass Recorded Song of the Year from the GMA Dove Awards. Volume Five has had as many as four songs from one album appearing at the same time on the Bluegrass Today Top 20. The Churchmen – Combine bluegrass and gospel and you have The Churchmen. Based in Collinsville, Virginia, the five-man band’s Southern gospel style features four-part harmony with lyrics that resonate with their audience in a moving way. The Grascals – This popular group brings a modern edge to bluegrass music. Their accomplishments include earning three Grammy® nominations and two Entertainer of the Year awards from the IMBA. Their talent has earned the group the honor of performing for President George W. Bush and for President Barack Obama’s inaugural ball. Junior Sisk & Ramblers Choice – After eighteen years of performing, the band is still going strong. Their newest album, “Poor Boy’s Pleasure” debuted at number two on the national Billboard bluegrass chart. The band and its members were honored with 10 nominations from the Society for the Preservation of Bluegrass Music of America (SPBGMA) for its 42nd Annual (2016) Bluegrass Music Awards. Sideline – Like the name states, the band started out as a side project for five seasoned professionals, including Steve Dilling (formerly of IIIrd Tyme Out). Due to the popularization of their debut album, it has become a full-time career. Sideline’s sound comes from 1980’s and early 1990’s contemporary bluegrass. Known for their harmonies and driving rhythm, the band combines the best of old and new material. Breaking Grass – From Booneville, Mississippi, this five-member group is on the rise. Their music combines traditional and contemporary bluegrass, gospel, and country to create their own unique sound that appeals to all ages. Tickets can be purchased online at www.OceanLakes.com or by calling the ticket hotline at 843-828-4856. More information on Ocean Lakes Family Campground is at www.OceanLakes.com. The campground can also be followed on Twitter, or “liked” on Facebook. Ocean Lakes Family Campground is a division of The Jackson Companies, a family-owned enterprise that includes Prestwick Golf & Country Club, Ocean Lakes Properties, Crystal Lake Mobile Home Village, Ocean Lakes RV Center, Ocean Lakes Golf Cars, and the master-planned development SayeBrook. For more information about Ocean Lakes, visit www.oceanlakes.com, follow it on Twitter or “like” the campground on Facebook. Mobile users, download the app.